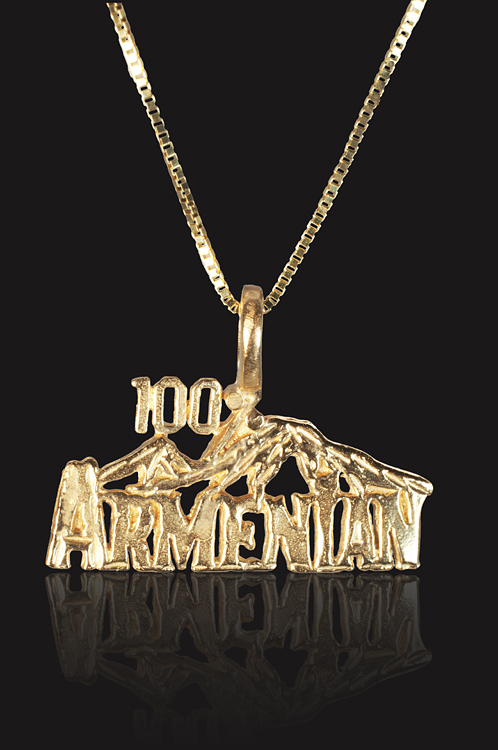 This 14-karat gold pendant reads "100% Armenian" prominently and features Mount Ararat—the symbol of the Armenian nation. The pendant measures half of an inch. Chain sold separately.